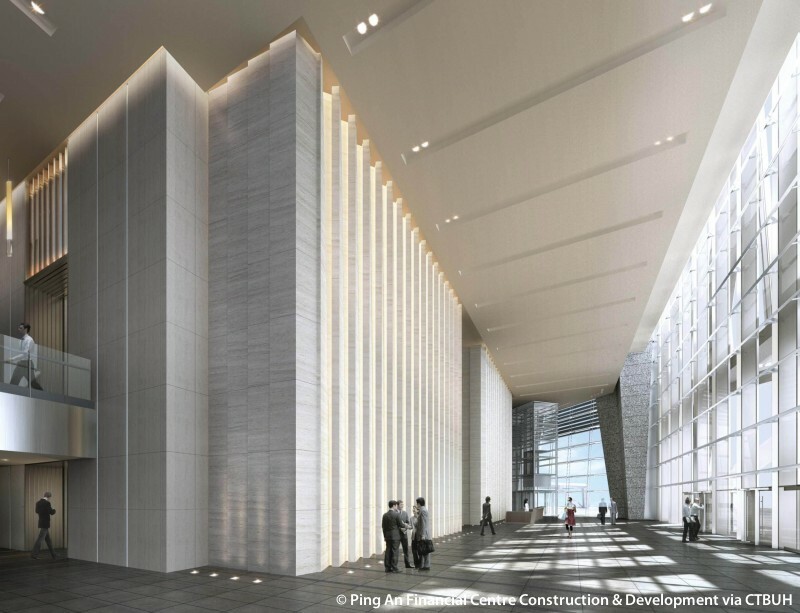 • Lighting	 Illuminate Lighting Design;	Lighting Planners Associates;	Beijing Fortune Lighting System Engineering Co., Ltd.
• Cladding	 Hilti AG;	Outokumpu;	Shenyang Yuanda Aluminium Industry Engineering Co.,Ltd. 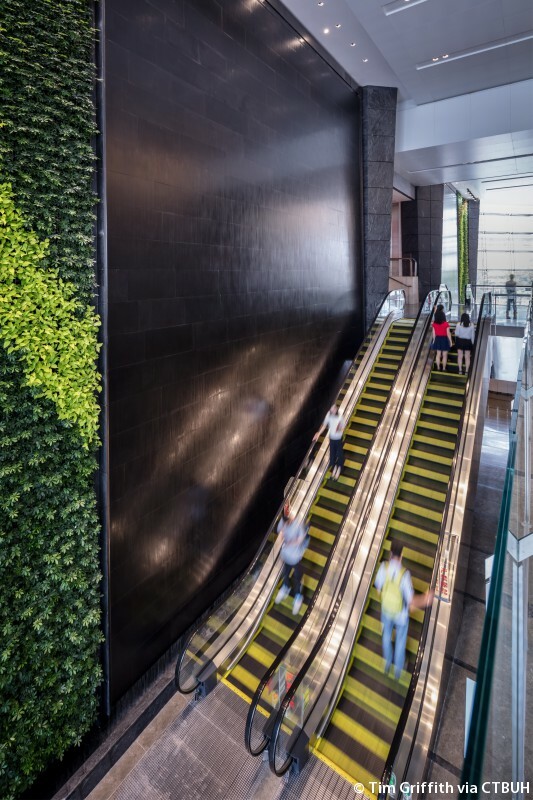 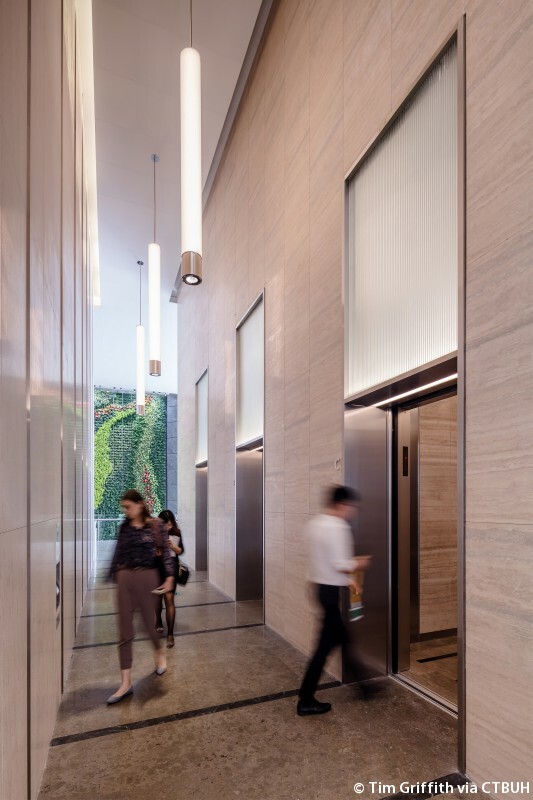 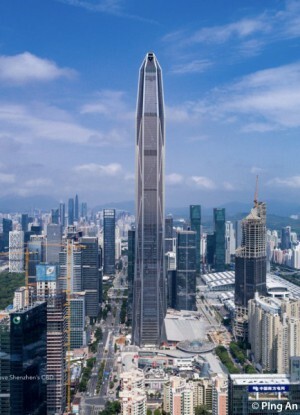 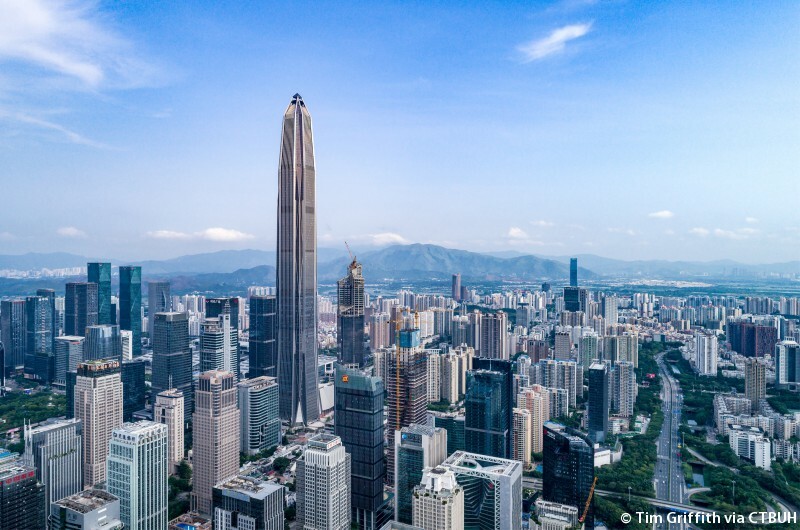 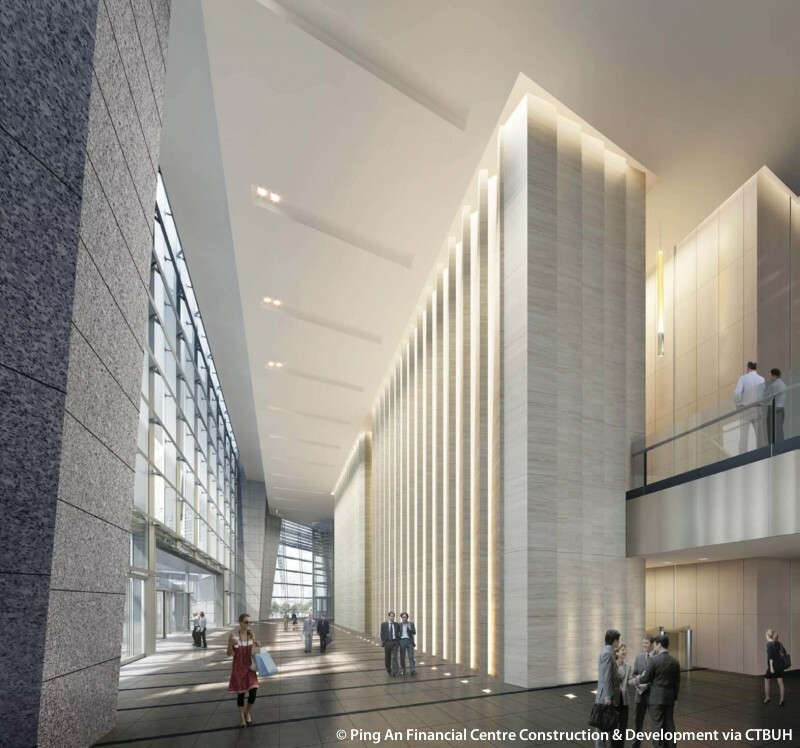 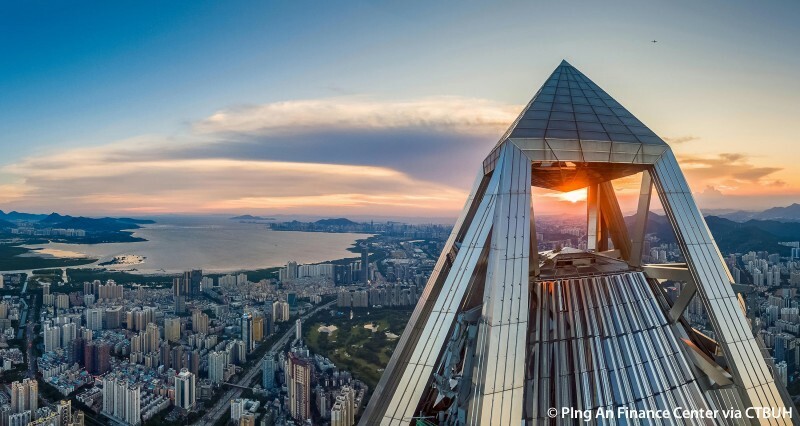 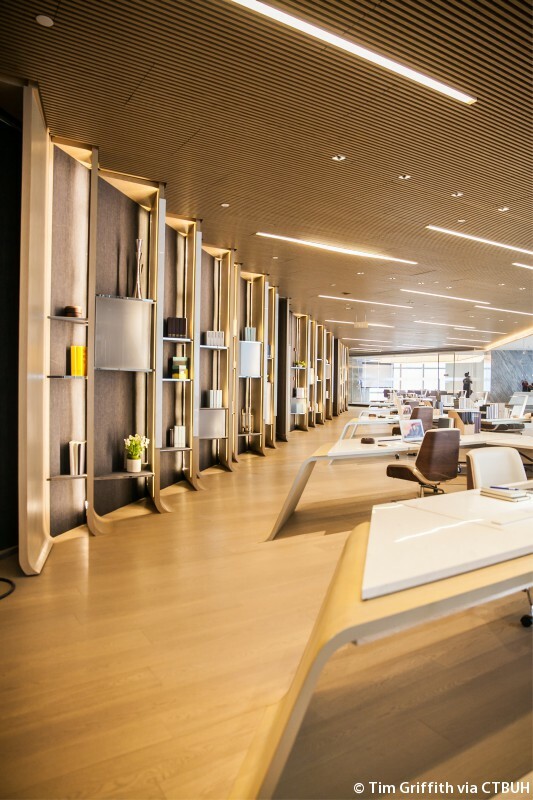 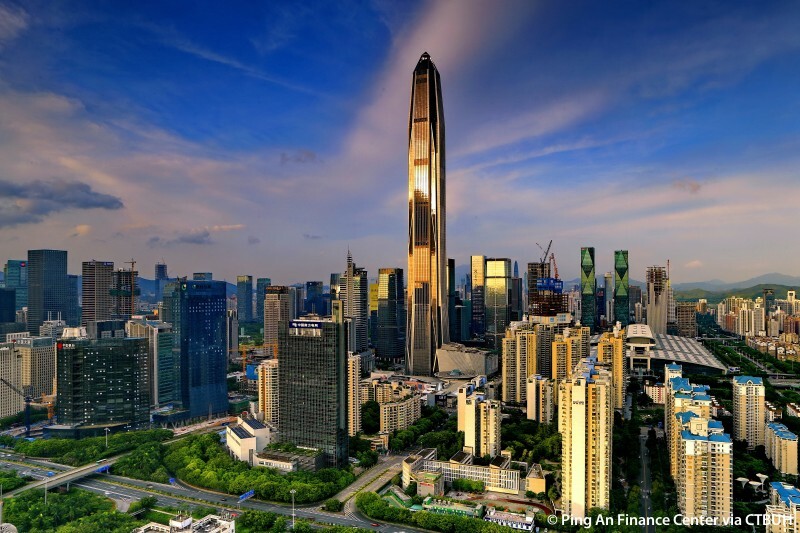 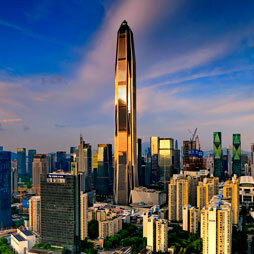 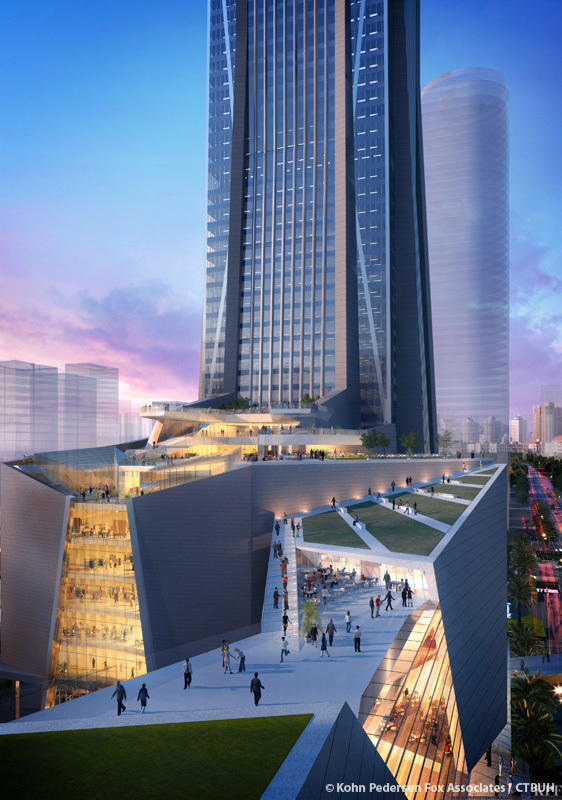 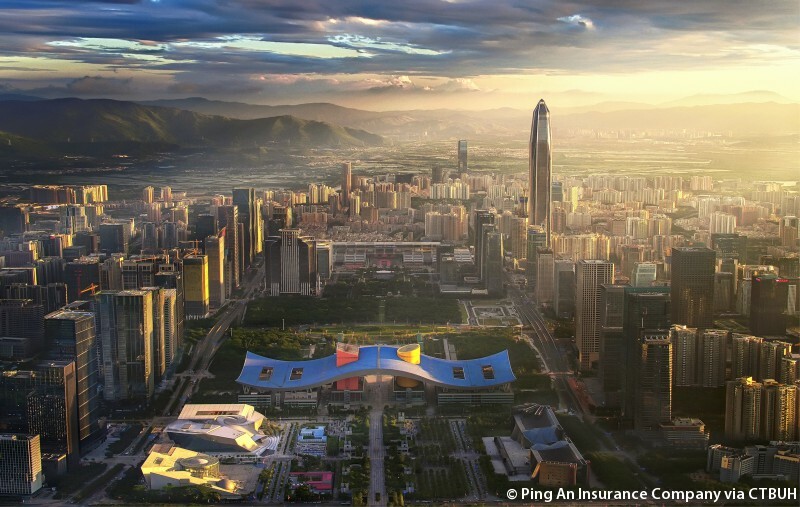 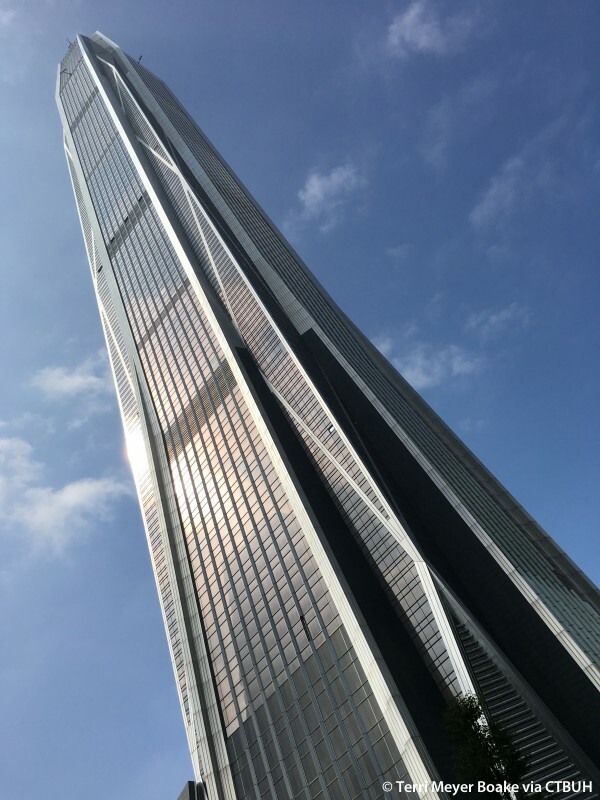 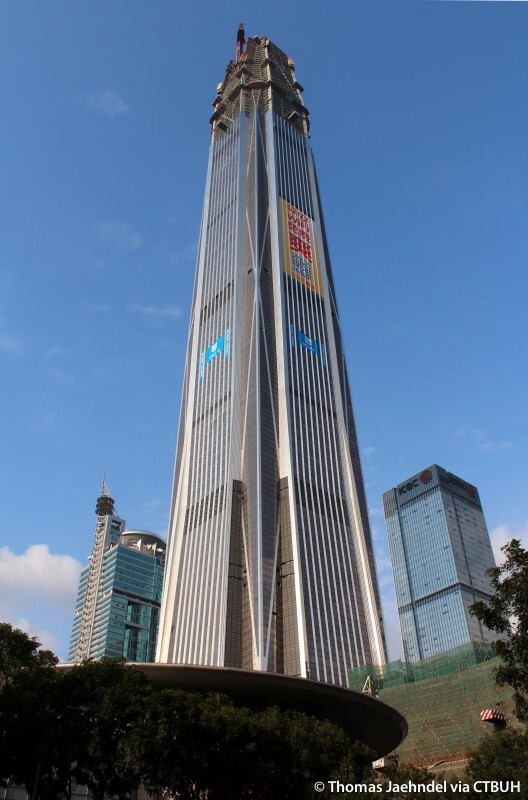 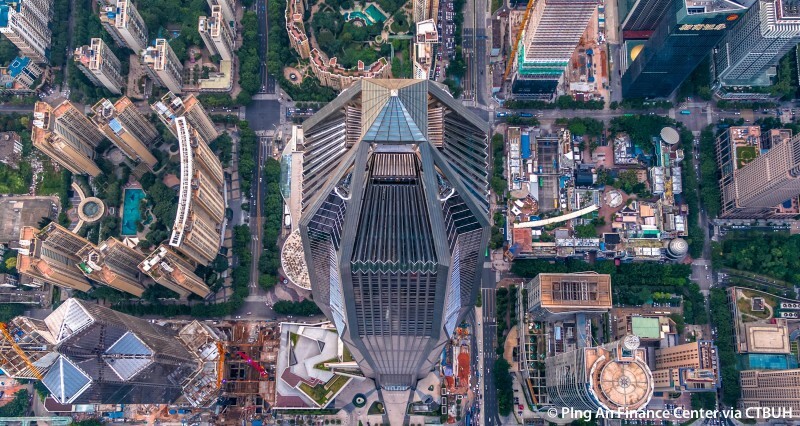 Ping An Finance Center rises from a prominent location in the center of the city, connecting seamlessly to neighboring commercial and residential properties, as well as the Pearl River Delta’s high-speed rail corridor. 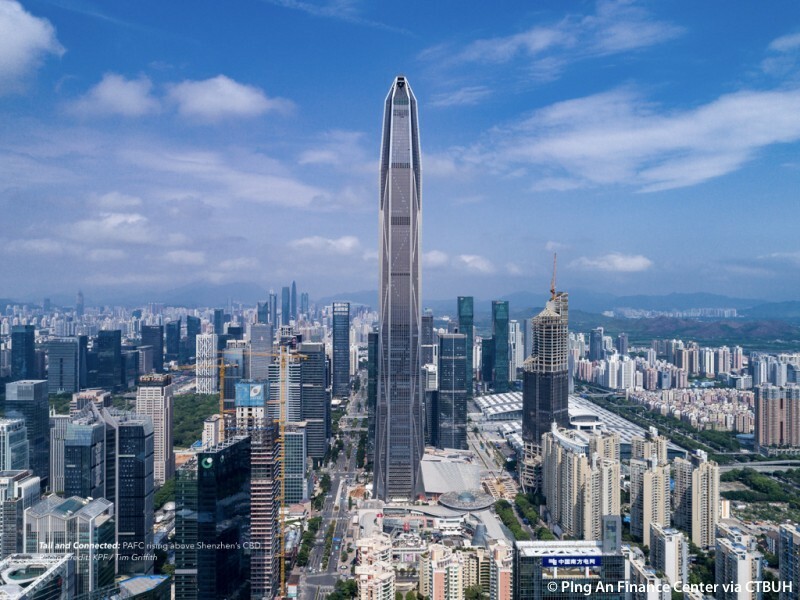 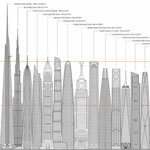 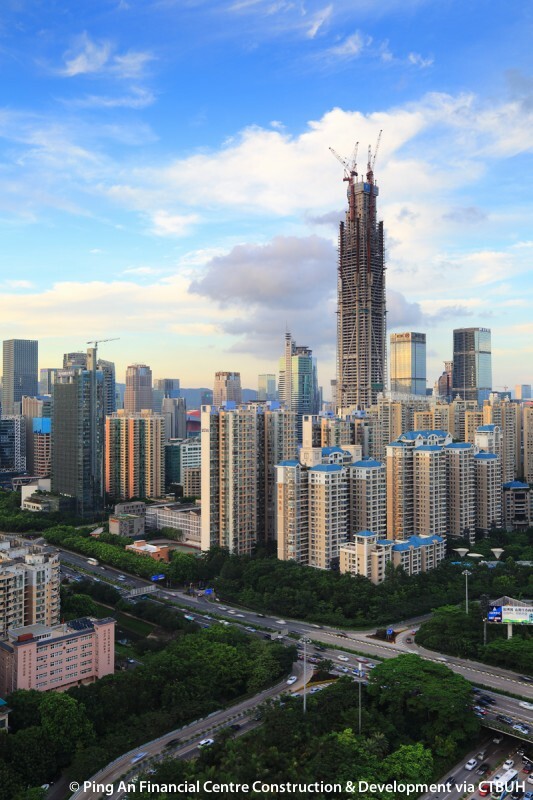 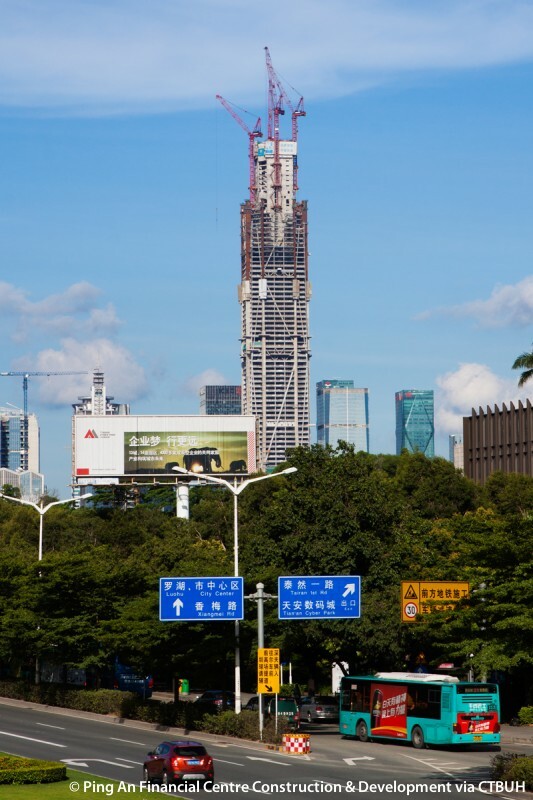 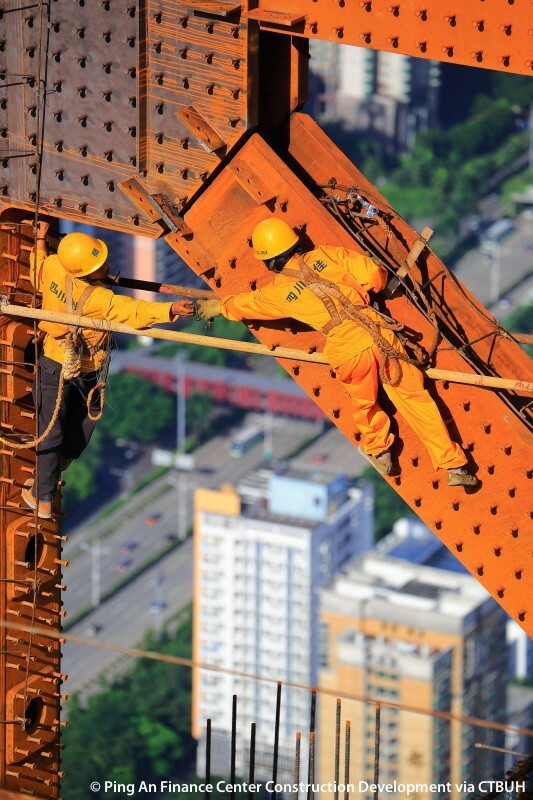 At its final height, the tower will symbolize a city which has witnessed unprecedented urban growth – from 300,000 people to approximately 10 million – in the 35 years since becoming China’s first Special Economic Zone. 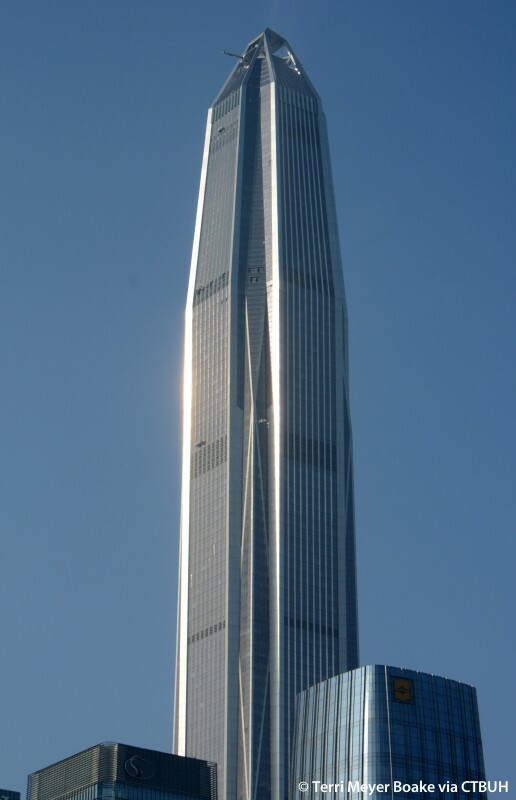 The shape of the tower is that of a taught steel cable, outstretched by the sky and the ground at once. 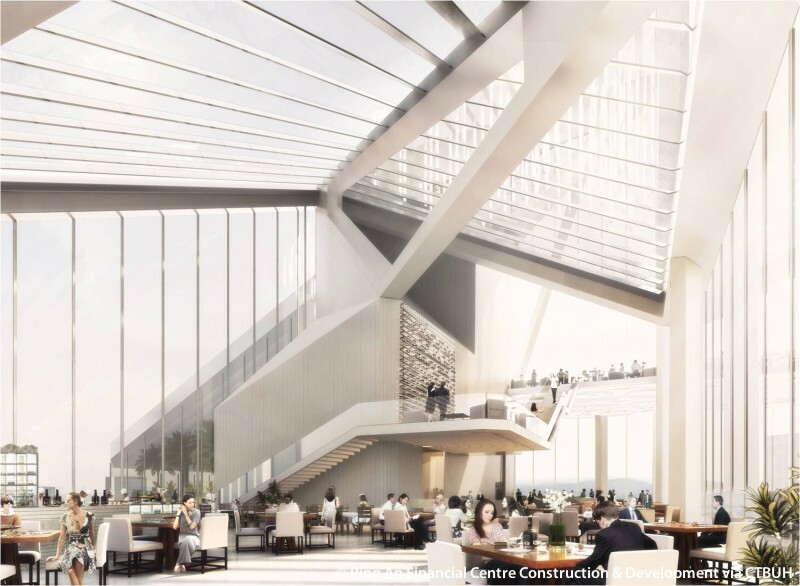 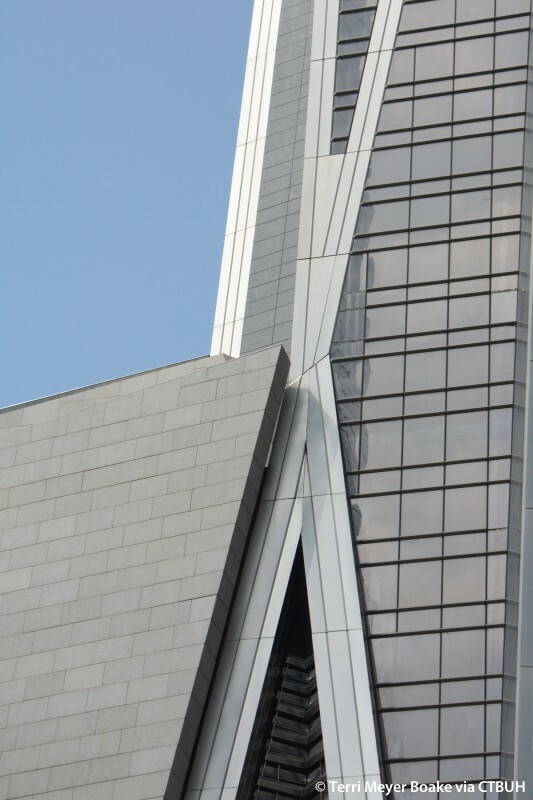 At the top of the tower, the façades taper to form a pyramid, giving the tower a prismatic aesthetic. 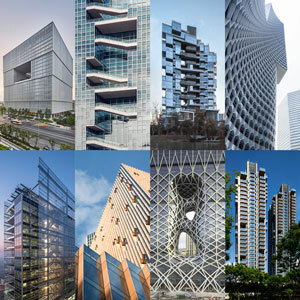 The form is emphasized by eight composite super-columns that extrude beyond the building envelope. 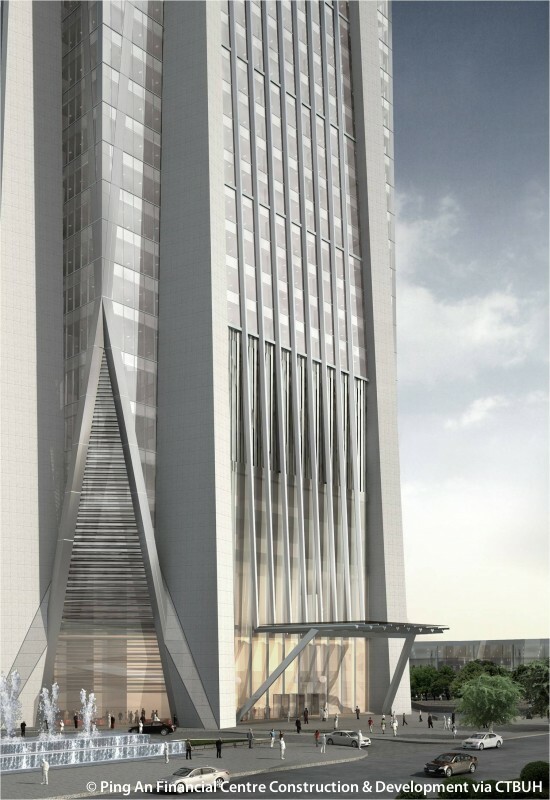 This design is not only visually appealing, but also practical. 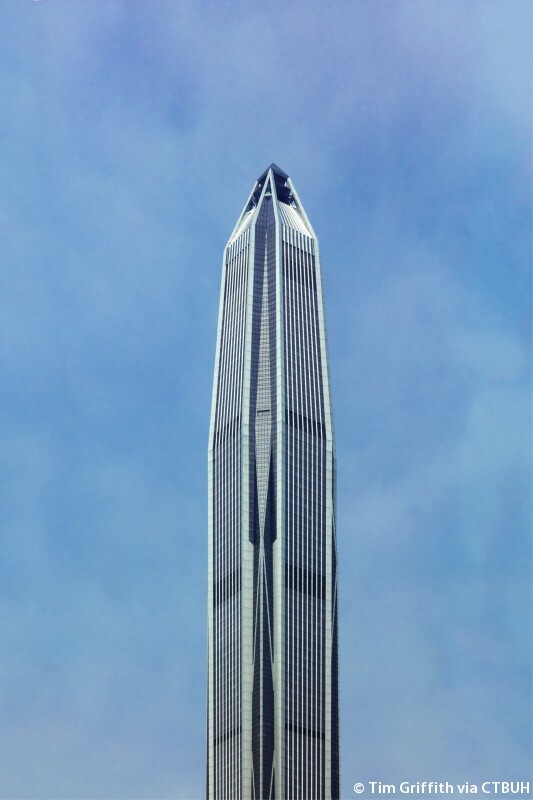 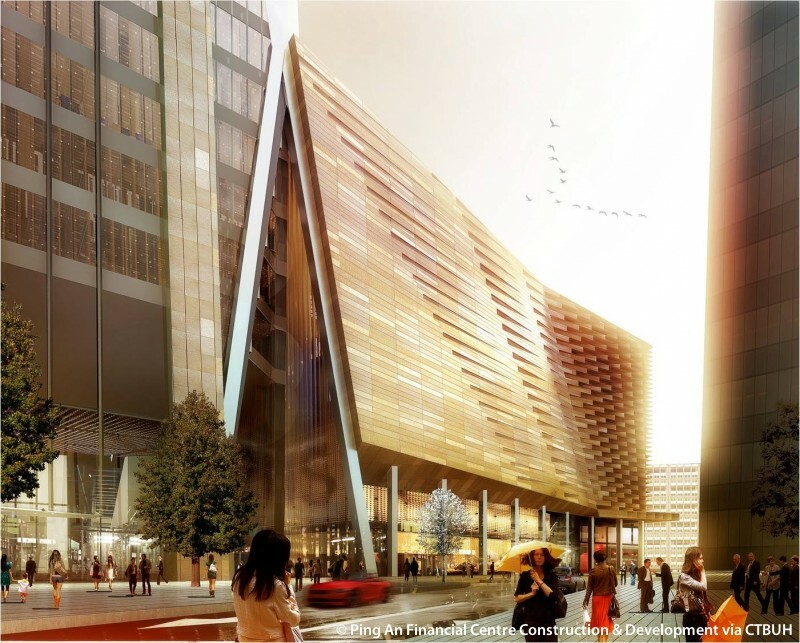 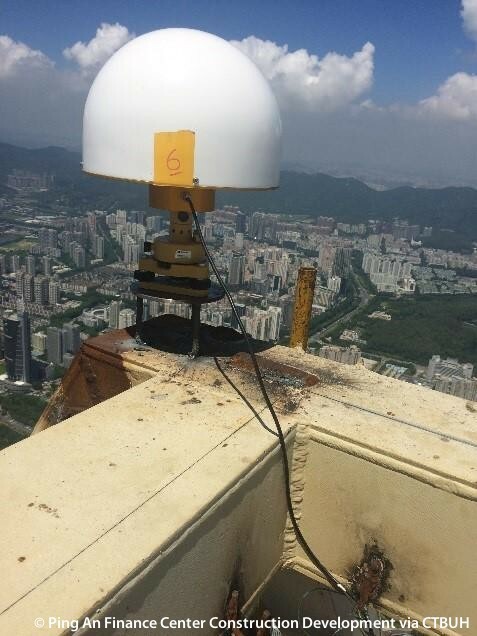 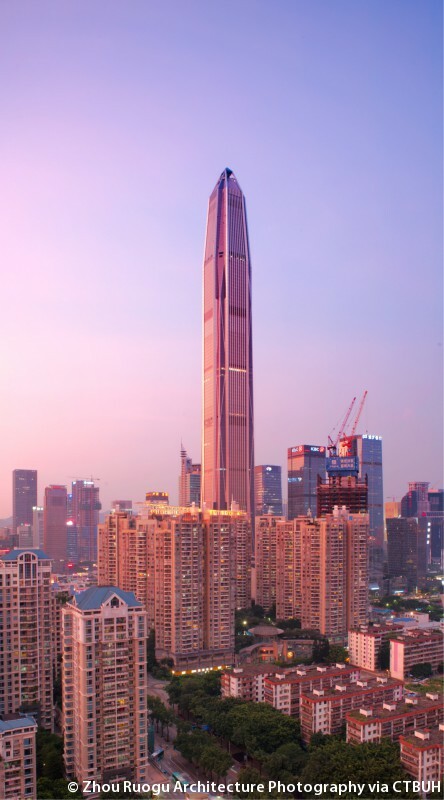 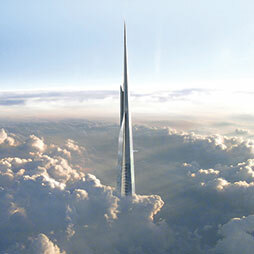 The streamlined shape of the tower improves both structural and wind performance, reducing baseline wind loads by 35%. 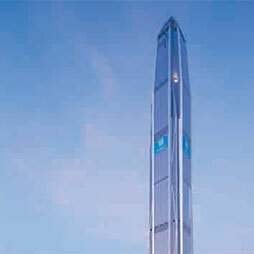 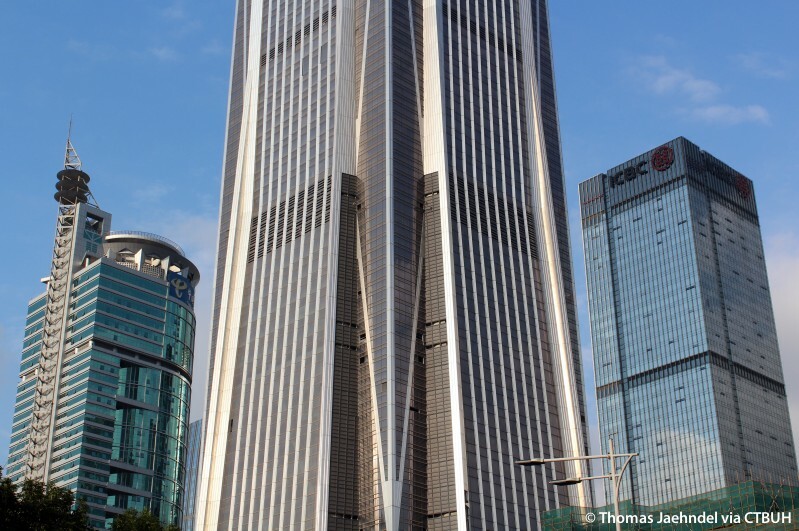 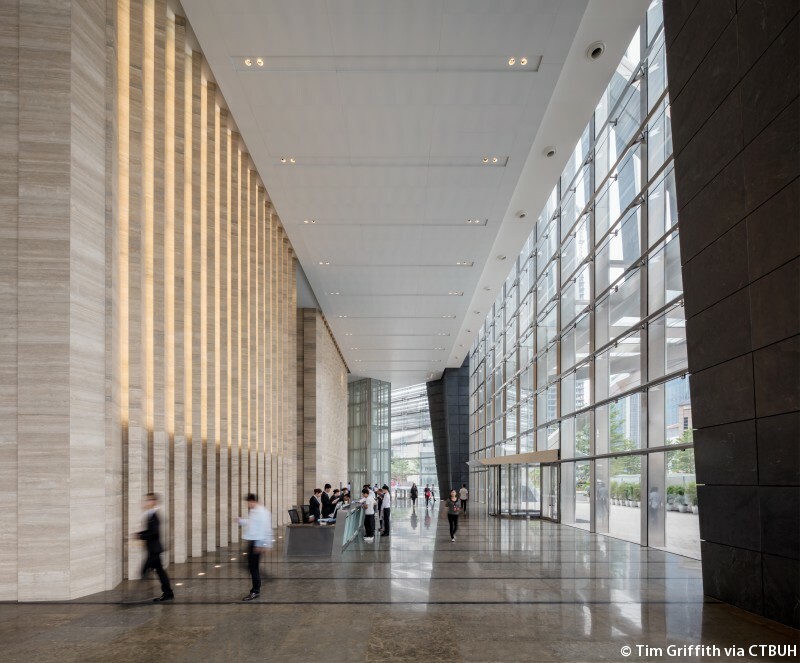 The façade of Ping An Finance Center is one of its most important features. 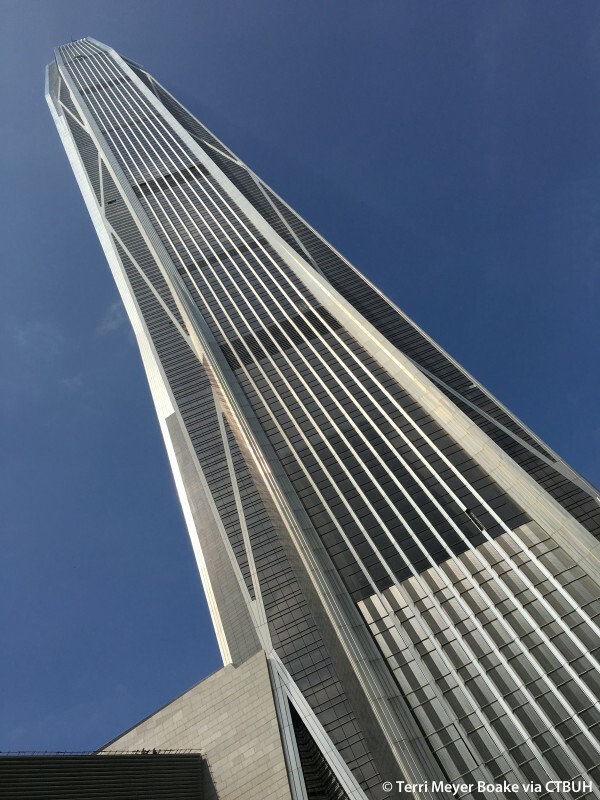 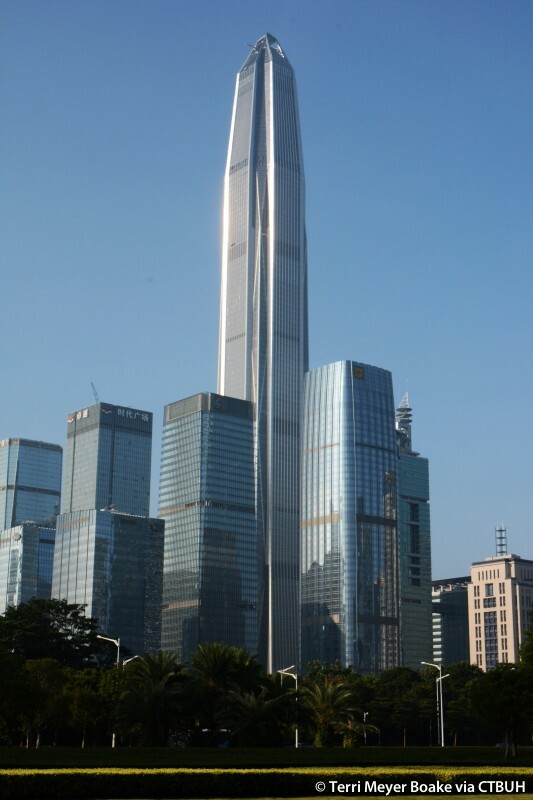 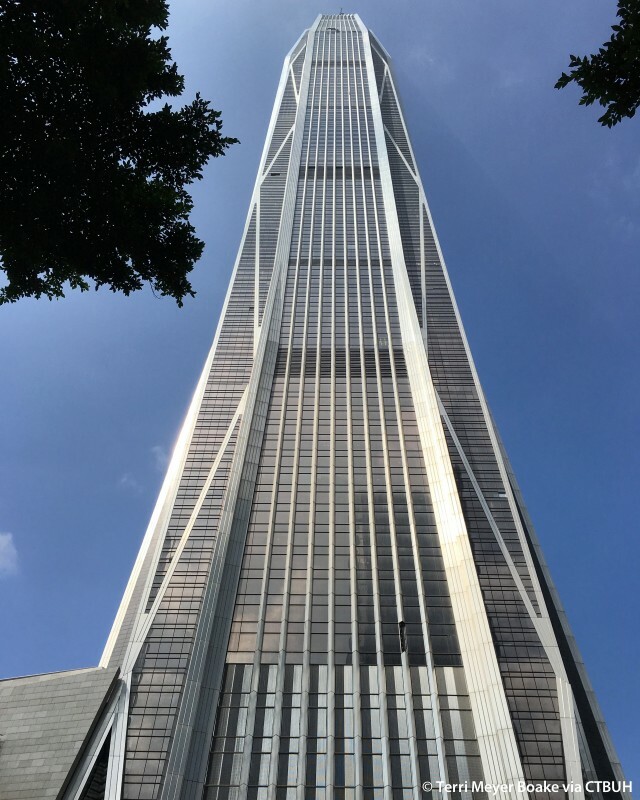 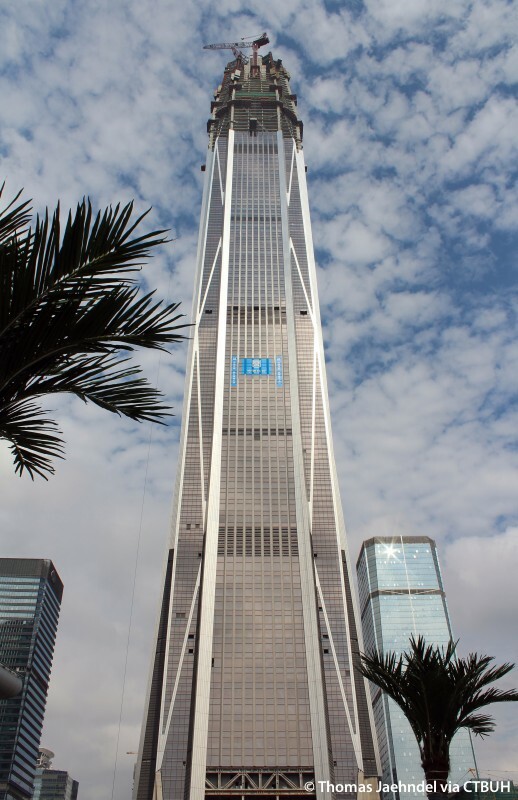 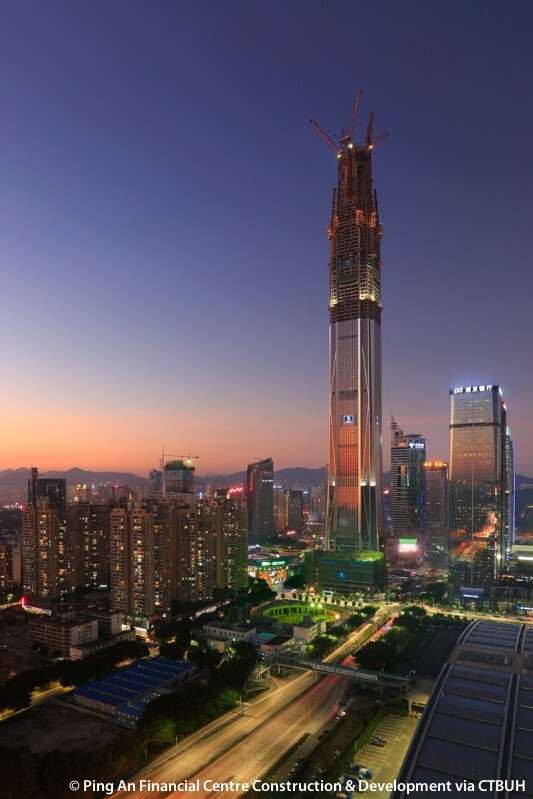 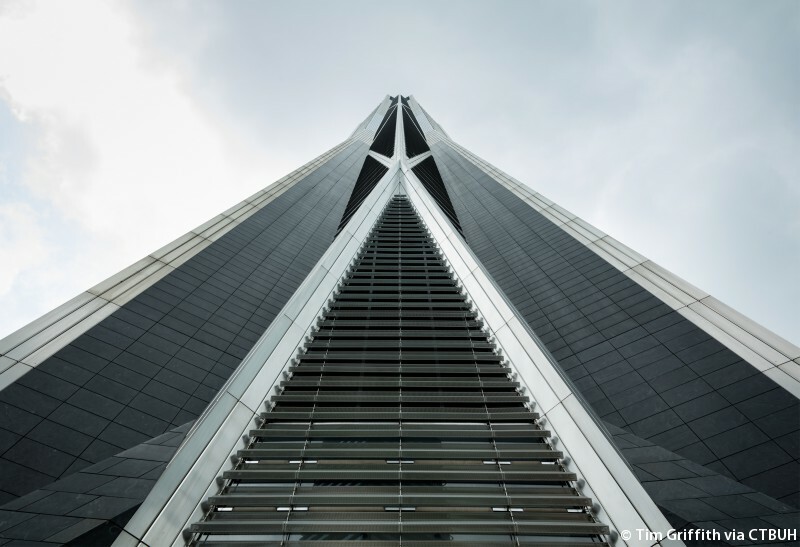 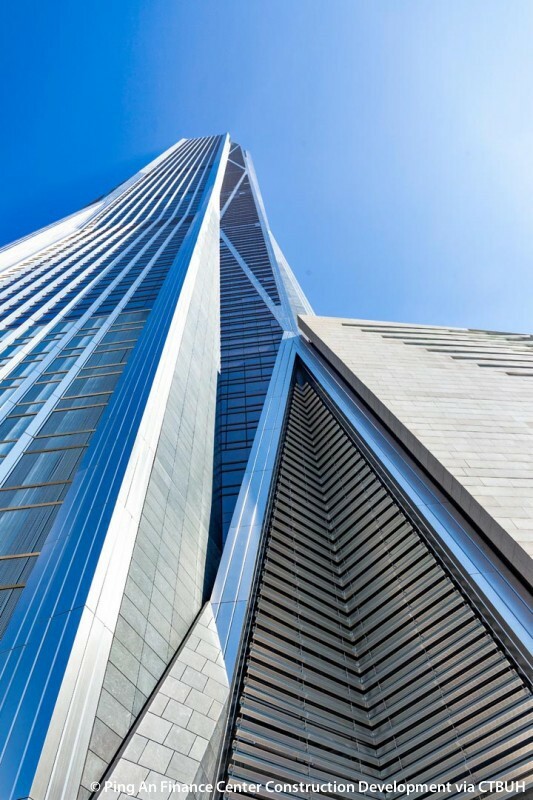 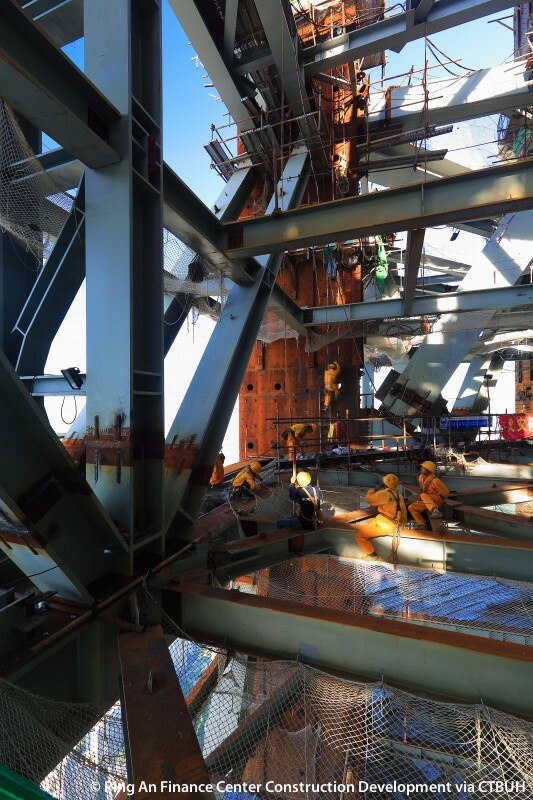 At the time of completion, the tower is adorned by the largest stainless steel façade in the world to date, using a total of 1,700 tons of 316L stainless steel. 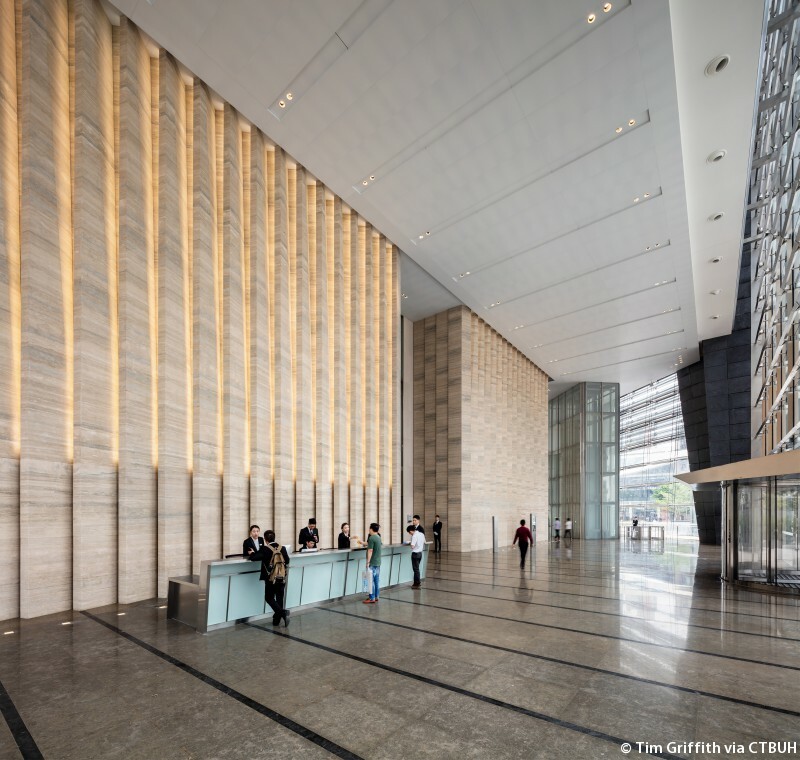 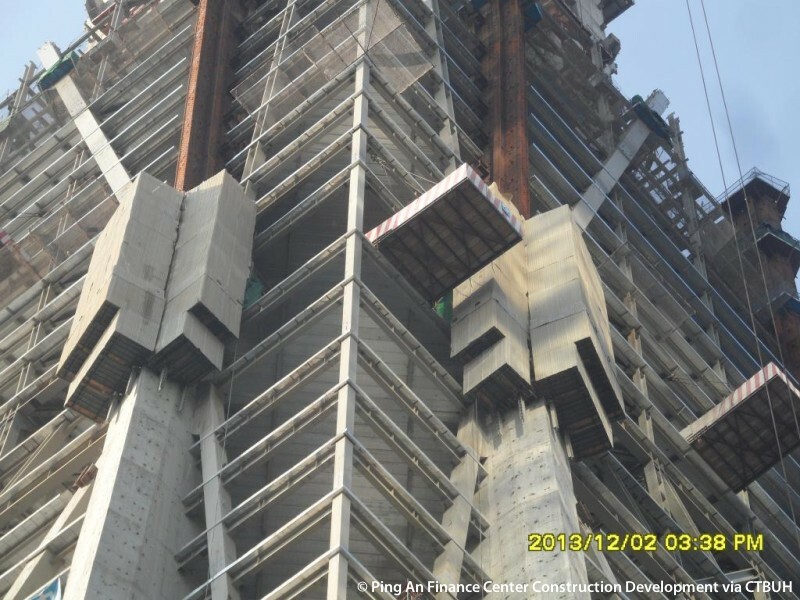 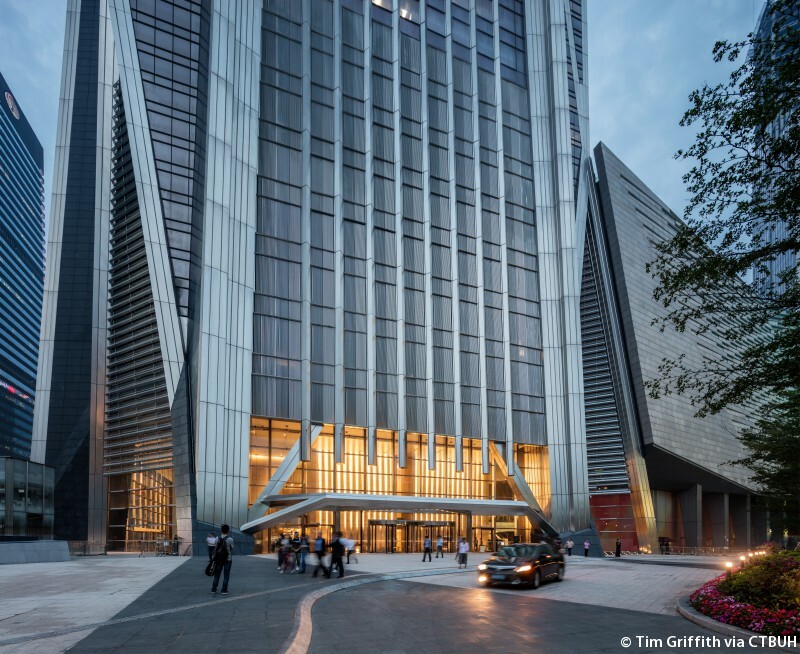 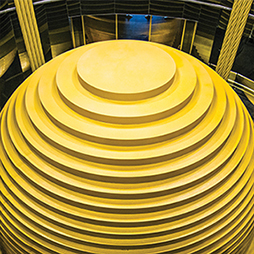 This material was chosen specifically for this project due to its corrosion-resistance, which will keep the appearance of the Ping An Finance Center unchanged for several decades despite Shenzhen’s salty coastal atmosphere. 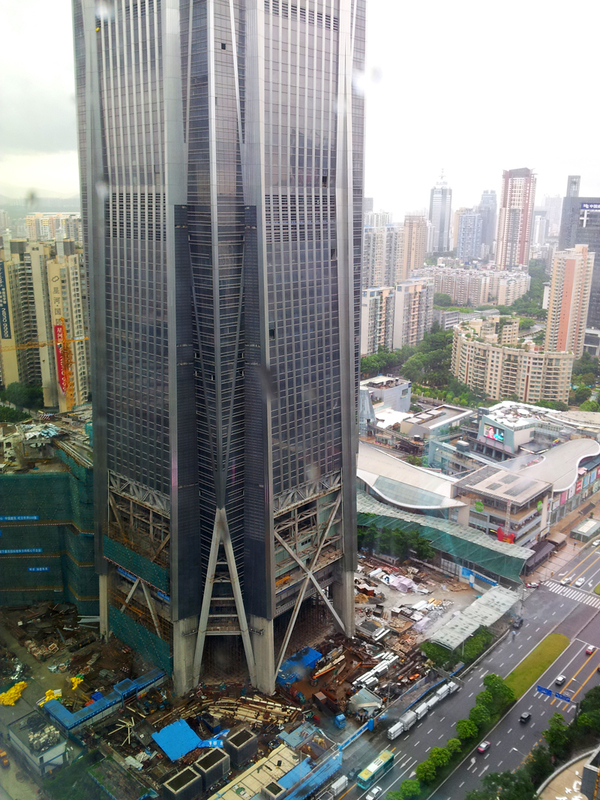 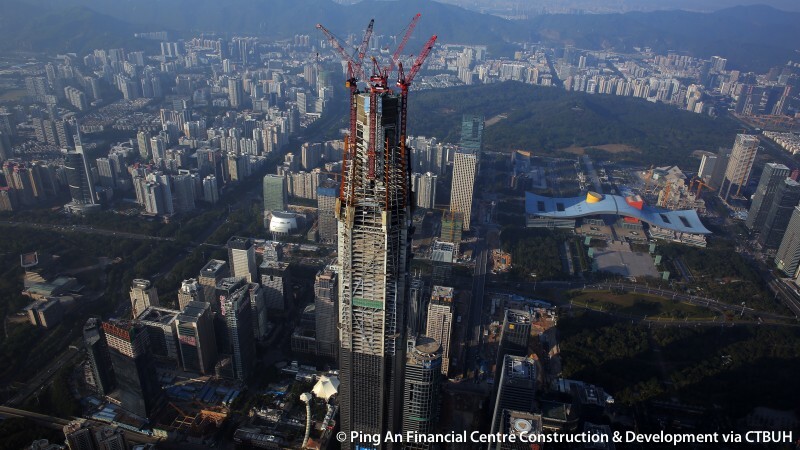 Jun 2015 – Other Videos; Shenzhen Ping An Financial Centre Construction and Development Co. Ltd. 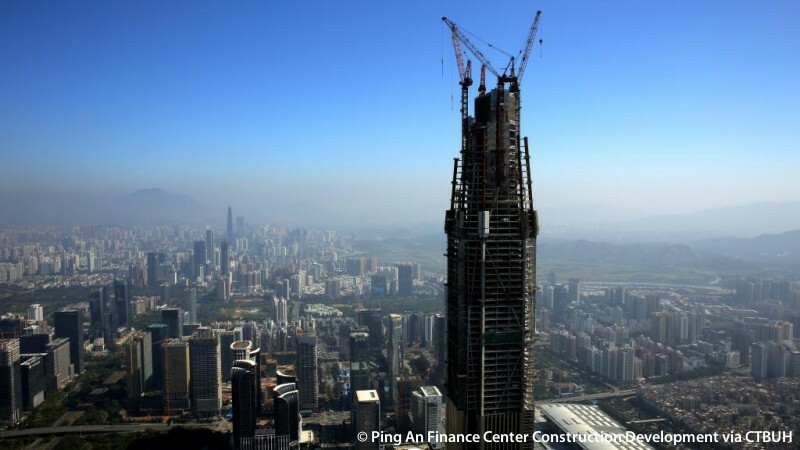 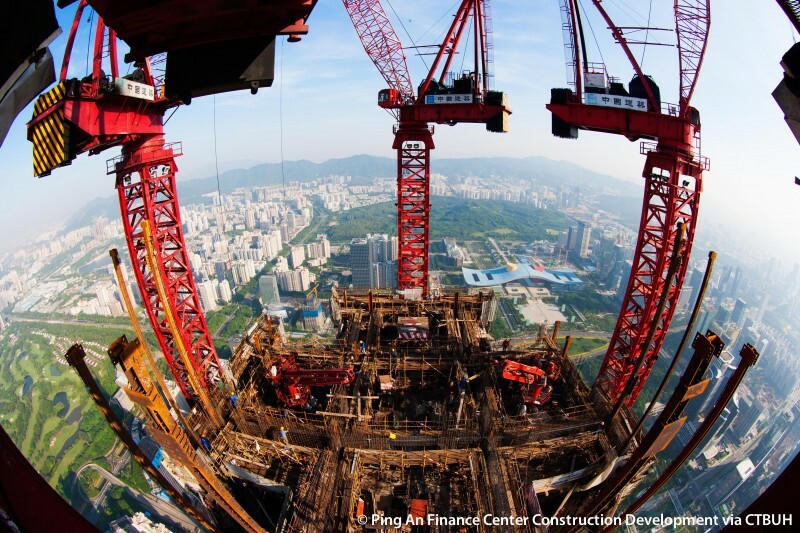 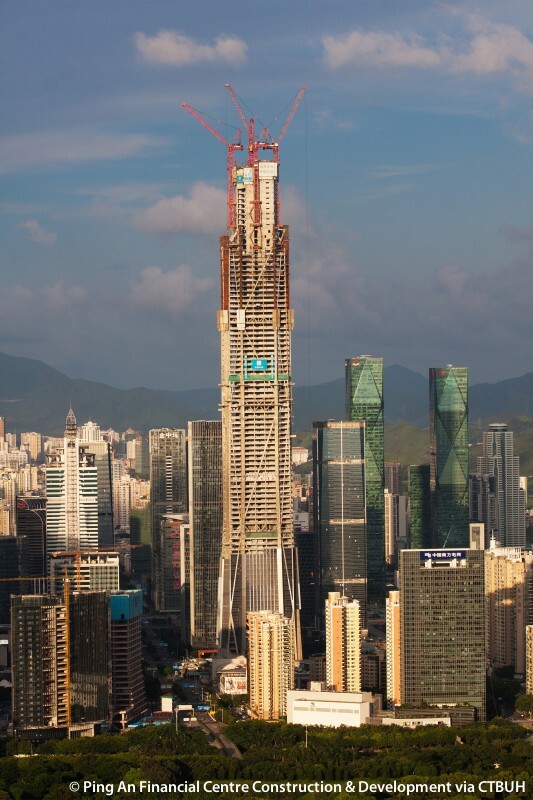 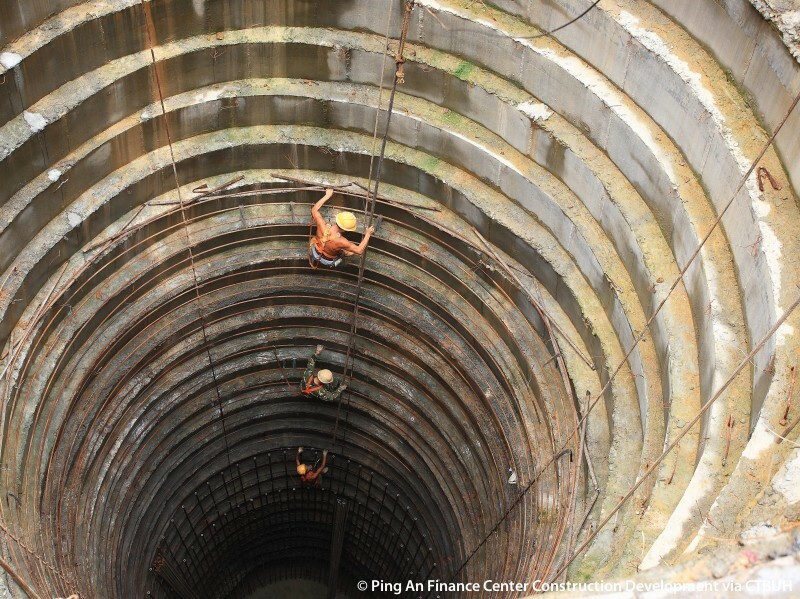 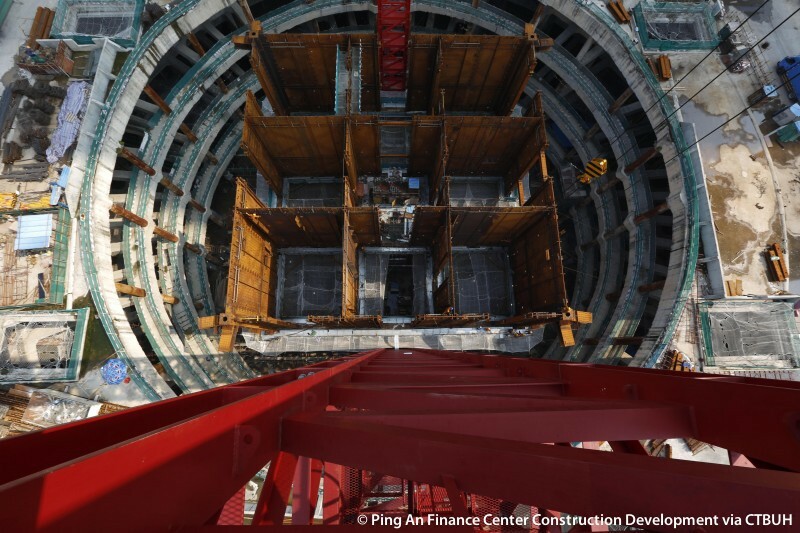 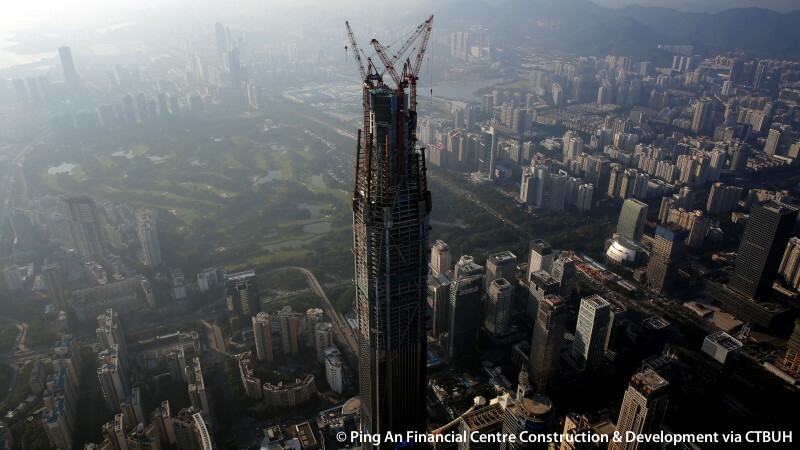 The Shenzhen Ping An Financial Centre Construction and Development Co. Ltd. examines Ping An Finance Center and it's construction progress. 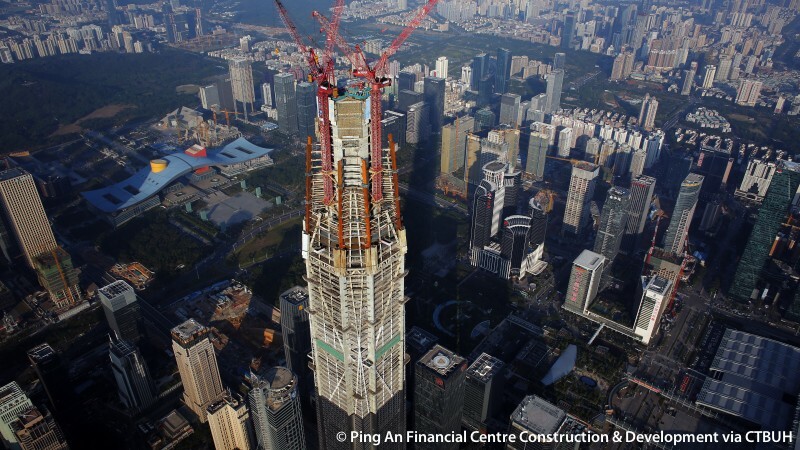 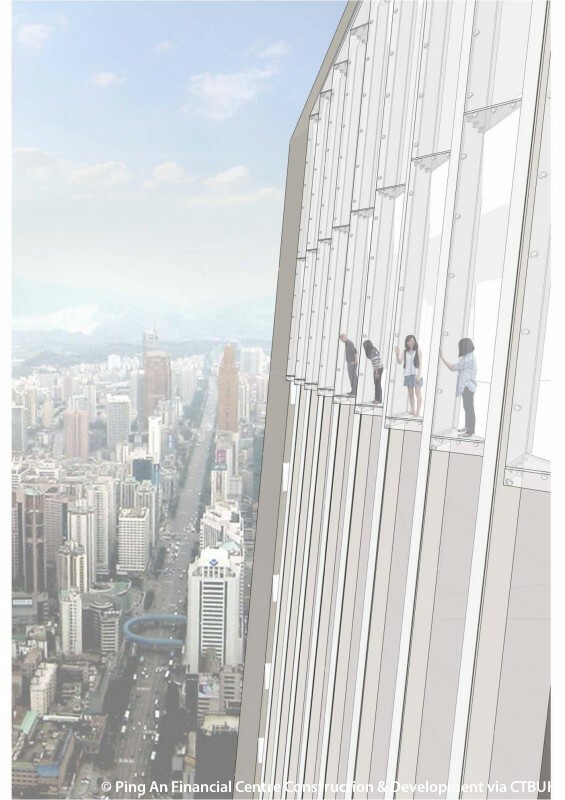 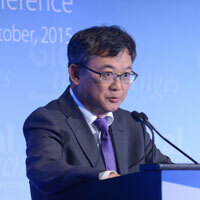 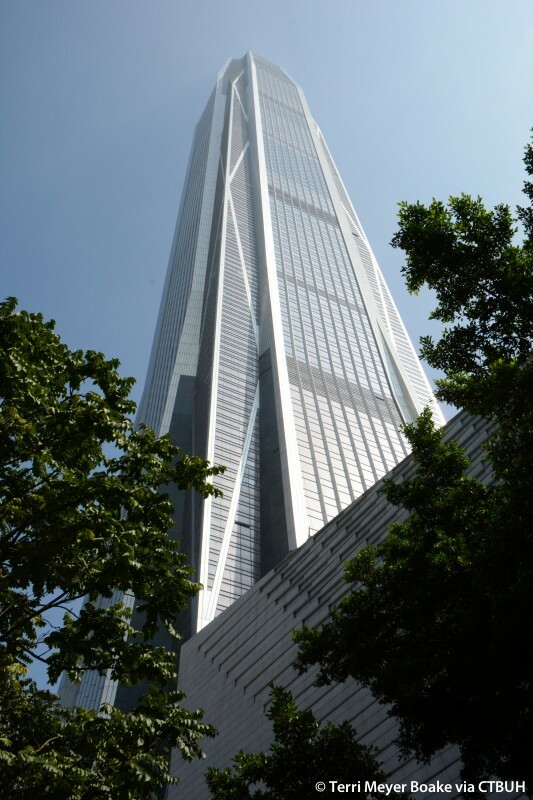 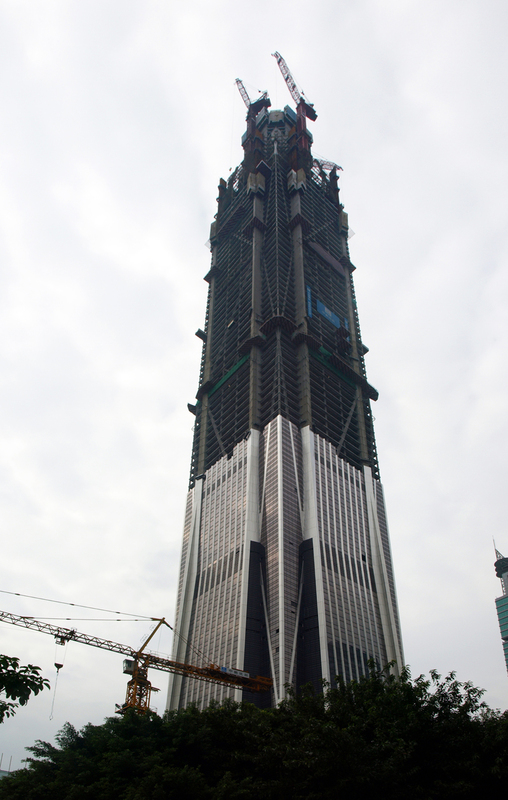 17 Sep 2014 – Presentation at CTBUH 2014 Shanghai Conference; Wai Ming (Thomas) Tsang, Shenzhen Ping An Finance Center Construction & Development Co., Ltd. 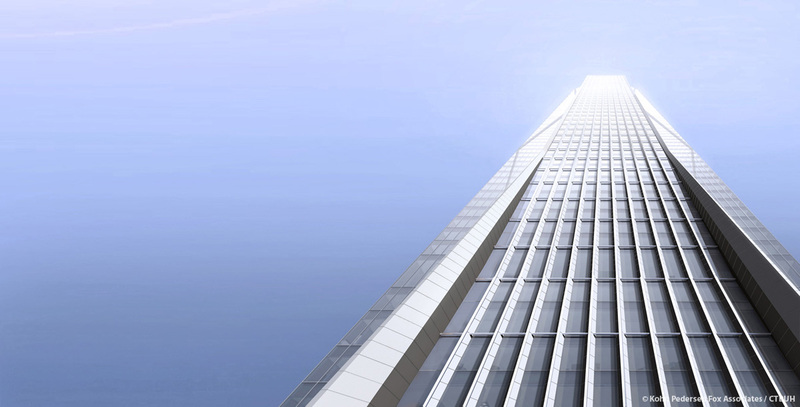 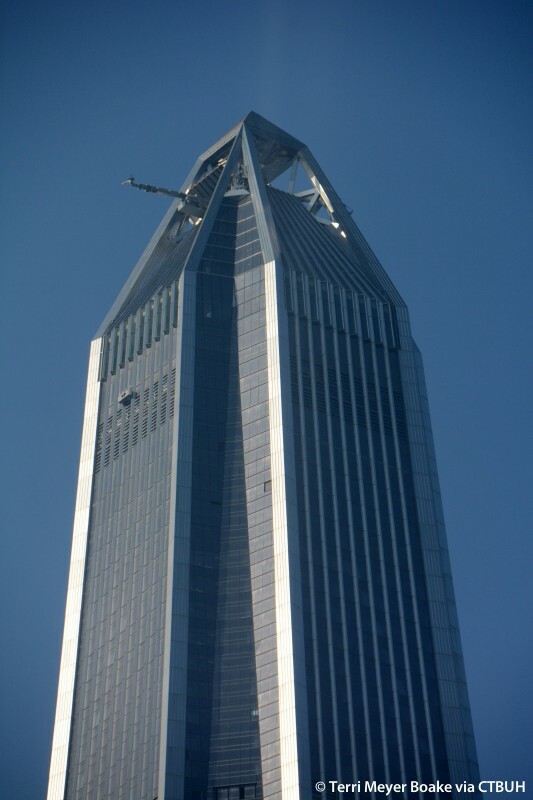 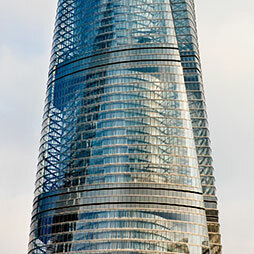 The extraordinary megatall tower adopts extraordinary shape-optimization techniques and requires unprecedented levels of coordination to achieve its unique form. 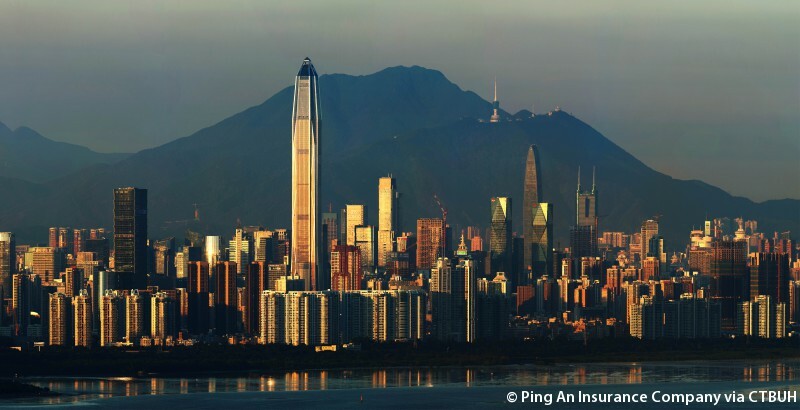 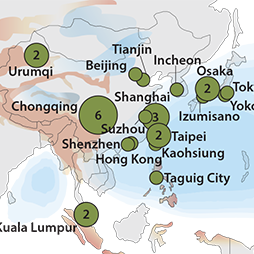 17 Oct 2016 – Cities to Megacities: Shaping Dense Vertical Urbanism; Yuanhuan Meng, Panli Deng, Yongqiang Chao & Linbo Wang, Beijing Fortune Lighting System Engineering Co., Ltd.
26 Oct 2015 – Global Interchanges: Resurgence of the Skyscraper City; Wai Ming (Thomas) Tsang, Ping An Financial Centre Construction & Development; Stephen Yuan, Ping An Casualty & Property Insurance Company of China, Ltd.
16 Sep 2014 – Wai Ming (Thomas) Tsang, Shenzhen Ping An Finance Center Construction & Development Co., Ltd.
16 Sep 2014 – Ping An Finance Center: In Detail; Tak Hung Yung, Shenzhen Ping An Finance Center Construction & Development Co., Ltd.
16 Sep 2014 – Ping An Finance Center: In Detail; Yuqi Zhou, Ruohui Sun, Gang Xue & Qiang Zuo, China Construction First Division Group Construction & Development Co., Ltd.
16 Sep 2014 – Ping An Finance Center: In Detail; Wing Kan (Ken) Wong, Wai Ming (Thomas) Tsang & Qi Ming (Andy) Liang, Shenzhen Ping An Finance Center Construction & Development Co., Ltd.